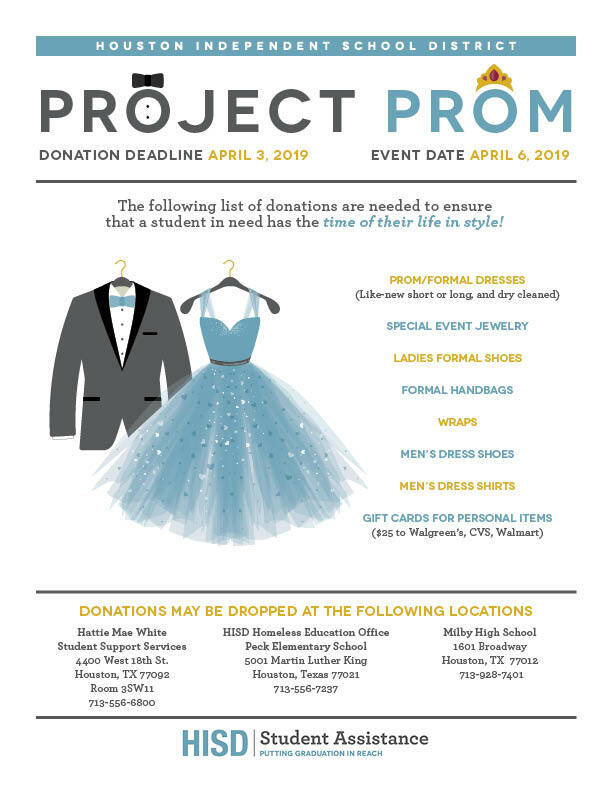 HISD’s Homeless Education Office is requesting donations of formal attire for hundreds of homeless and at-risk high school seniors planning to attend their prom. The homeless office is requesting formal dresses, shoes, handbags, and jewelry for girls and tuxedo rentals, men’s shirts, and men’s shoes for boys. This entry was posted in High Schools, News, Parents, Special events and tagged Project prom on February 19, 2019 by HISD Communications. Editor’s note: Due to the threat of inclement weather, the Special Olympics Field Days rescheduled for March have been postponed. When new dates are established, they will be communicated. The sixth annual Special Olympics Field Days, which was postponed in November because of inclement weather, are now scheduled for March, and HISD needs volunteers for the upcoming event. Field Days give students with intellectual and developmental disabilities a chance to showcase their athletic skills by taking part in fun athletic contests. The friendly competition includes basketball, tennis, soccer, and track and field for all ages, as well as flag football for high-schoolers. Middle-school students will have their events on March 6, while high school students will participate on March 7. Then elementary students get their Special Olympics Field Day on March 5. This entry was posted in Elementary Schools, Health/Wellness, Middle Schools, Special Education and tagged Special Olympics Field Days on February 19, 2019 by HISD Communications. Two Houston Independent School District campuses have been nominated for the prestigious 2019 Blue Ribbon Schools designation. The HISD schools are Field Elementary School and Project Chrysalis Middle School, which is a two-time nominee. The two HISD schools are the only ones in the greater Houston area to receive nominations. A total of 26 Texas schools have been nominated by the Texas Education Agency. 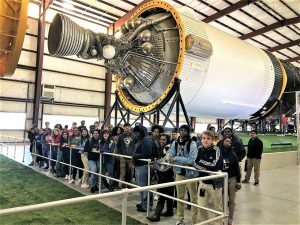 This entry was posted in News on January 17, 2019 by HISD Communications. Twelve HISD students will continue the tradition of honoring the late Dr. Martin Luther King Jr. when they compete Friday in the final round of the Gardere MLK Jr. Oratory Competition. This entry was posted in News on January 11, 2019 by HISD Communications. All HISD schools and district offices will be closed Monday, Nov. 19 through Friday, Nov. 23 for the Thanksgiving holiday. Normal school and business operations will resume on Monday, Nov. 26. This entry was posted in Holidays, News, Parents and tagged Holiday, Thanksgiving on November 12, 2018 by HISD Communications.